13 weeks ago I decided to test out a very low carb, moderate protein, and high-fat diet, otherwise known as “the keto diet”. The primary reason set out to test this way of eating on myself was (and still is) because I have several clients with autoimmune disorders to whom I've suggested a low carb nutritional approach (like keto). By going through the process myself, I’ve been able to provide my clients with the first-hand experience of shifting from high carb to lower carb all while keeping my sanity. One thing I love about the keto diet, aside from how incredible I feel on the daily, is how easy it is to eat. I mean, STUPID EASY! In the past, I ate up to 280 grams of carbs and 160 grams of protein a day, which actually was a real struggle to consume without also going over my moderate 40-60 grams of fat per day. Note: Obviously this was just MY experience, some might argue higher carb is easier than higher fat but for me, building a diet around F A T and avoiding carbs is so fricken easy. Anyway, if you’re struggling to make the transition or you want to embark on a very low carb/high fat diet yourself but not sure what to eat, hopefully, this snapshot of my day will be a helpful tool for you to use as a template. Typically I head to either hot yoga, a trail run, or an OrangeTheory class first thing in the morning Monday through Friday. Because I start 5 days out of the week with either extremely hot or extremely intense exercise, I prefer to stay fasted. 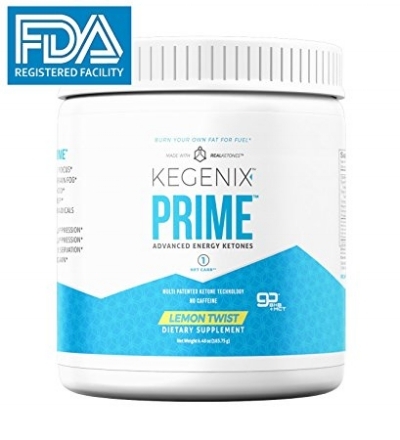 Therefore, the KegenixPrime gives me a boost of energy without a boost in calories. I also get in a liter of water during or immediately after my morning workout. This cup of coffee is about 30-40grams of fat and therefore, I won’t eat again until about 1 or 2 pm. I also get in a 1 - 2 liters of water before my next meal. Some type of meat: basically whatever is already prepped for the week like shredded chicken thigh, ground beef or bison, or some type of delicious charcuterie like salami, prosciutto, or chorizo + 2 ounces of raw cheese or macadamia nuts. This meal is typically my smallest meal of the day because I’m usually not even hungry by this point (between 4 & 5:30pm). I used to instinctively drink a protein shake immediately after weight training but now I opt for 1 scoop of BCAA’s and magnesium + vitamin c (see IG post about recommended post workout sups). Some type of fatty meat that has been prepped for the week in a stew, meatballs (see below), or other keto-recipe paired with another chopped salad (with same ingredients noted above) or a vegetable like brussels sprouts, cauliflower, or peppers, etc. SO. STUPID. EASY. If you’re interested in starting a keto diet but unsure where & how to begin or if you're just looking for a fitness and nutrition plan customized for your goals (short and long-term), email me for me info on my 12 week online guided nutrition & fitness programs.